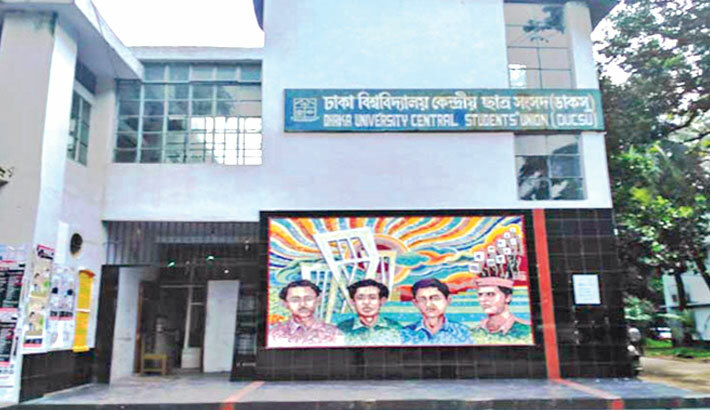 Jatiyatabadi Chatra Dal (JCD), the student wing of opposition Bangladesh Nationalist Party (BNP), is in a fix about the much-awaited election to Dhaka University Central Students’ Union (DUCSU) because of the imposition of an age bar on the candidates. JCD sources said leaders of the student wing are now faced with a major hurdle in finding the right candidates as their demand for amending some clauses, including the one which put an age bar on the candidates, was not accepted. JCD insiders said they will finalise their candidates ‘very soon’ after talking with the high command. The university authorities have limited the age of the candidates to 30 years. The distribution of nomination papers for DUCSU election will begin tomorrow and continue until February 25. The last date for nomination paper submission is February 26. Campus sources said Bangladesh Chhatra League, the student wing of the ruling Awami League, is all set for the polls and waiting for announcement of the names of candidates by the party high-ups. Any aspirant can collect nomination papers to vie for any of the 25 posts in the central union and 13 in hall units. Deadline for withdrawal of candidacy has been set at 1:00pm on March 2, while the final list of candidates will be published on March 3. The supplementary voter list will be published on March 5. Incumbent presidents and general secretaries of both the central and Dhaka University units of BCL are eligible to contest the election as per the rules. The four -- BCL central committee president Rezwanul Hoque Chowdhury Shovon and general secretary Golam Rabbany, and DU unit president Sanjeet Chandra Das and general secretary Saddam Hussein -- are students of DU law department. “We are working to ensure fair and peaceful elections,” he said. Asked who are going to be the BCL candidates, DU unit BCL president Sanjeet declined to make any comment. The list will be finalized by our only guardian, Prime Minister Sheikh Hasina. BCL is always ready to contest the polls’. Meanwhile, leaders of Bangladesh students’ rights protection forum told this correspondent that they are preparing themselves to contest the elections with independent panel. Although, some leftist organisations are trying to bring quota reformists in their favour and start a tough campaign against the current election commission. Join convener of this platform told the Daily Sun that ‘We are not eager to talk with anyone in this regard [panel]. Because, we are preparing for the elections independently’.